"I can tell you now that with the leadership of Justice Khehar as the new Chief Justice, we will be able to work together in a very meaningful way to address the concerns in judiciary, to expedite appointments, to ensure people of merit are appointed and also overall reinforce infrastructure needed for justice delivery,” Law Minister Ravi Shankar Prasad. The tenure of justice T S Thakur who recently retired as the Chief Justice may have been marked by stiff confrontation with the Centre mainly over appointment and transfer of judges. But the Law Ministry sees a better “working relationship” with the new Chief Justice J S Khehar. 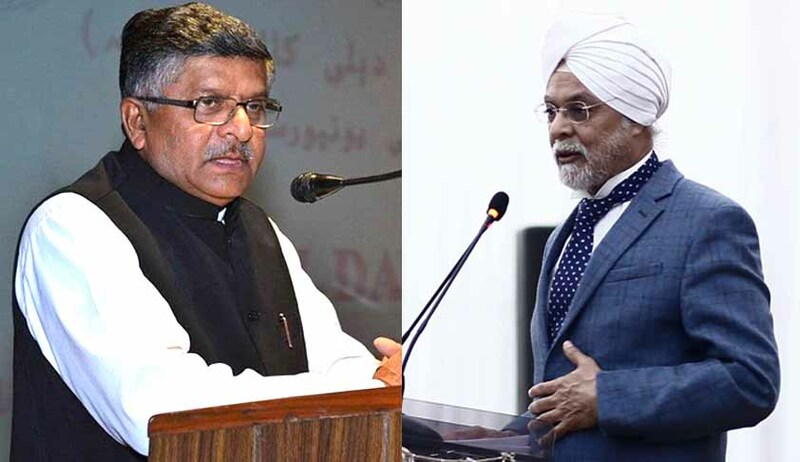 A day after Chief Justice J S Khehar in the open court expressed concern over judicial work being affected by the shortage of judges, Law Minister Ravi Shankar Prasad has also said that concerns regarding appointments and infrastructure would be addressed expeditiously. Prasad also said that independence of judiciary will remain “sacrosanct”. “I can tell you now that with the leadership of Justice Khehar as the new Chief Justice, we will be able to work together in a very meaningful way to address the concerns in judiciary, to expedite appointments, to ensure people of merit are appointed and also overall reinforce infrastructure needed for justice delivery,” he said at a seminar on fundamental rights and duties held yesterday at the India International Centre. “We have made 126 appointments, the highest since 1990, and in high courts about 131 additional judges have been confirmed,” Prasad said a day after Justice Khehar said the shortfall in the number of judges was affecting work in the apex court. Prasad’s remark that independence of judiciary will remain sacrosanct assumes significance in the context of CJI Khehar, while speaking at the Constitution Day function on November 26 before his elevation saying that the judiciary would remain with its Lakshman Rekha provided the Executive and Legislature follow constitutional norms and principles. April 25, 2016: During the national conference of state chief justices and chief ministers, an emotional Thakur launched an unprecedented attack on the present and previous governments for blaming the judiciary for the backlog of cases, which has hit an alarming 3.14 crore, while “doing nothing to increase the number of judges and courts despite repeated pleas from the judiciary”. Sep 14, 2016: CJI charges government of trying to bring the judiciary to a grinding halt and also accuses it of attempting to lock up courtrooms. Nov 18, 2016: Fresh confrontation as he firmly tells Attorney General Mukul Rohatgi that the collegium has reiterated the names of all 43 judges for the High Courts whose candidature were sent back for reconsideration to the collegium by the Centre.